Special Force 2 SEA Closed Beta Now Ready! 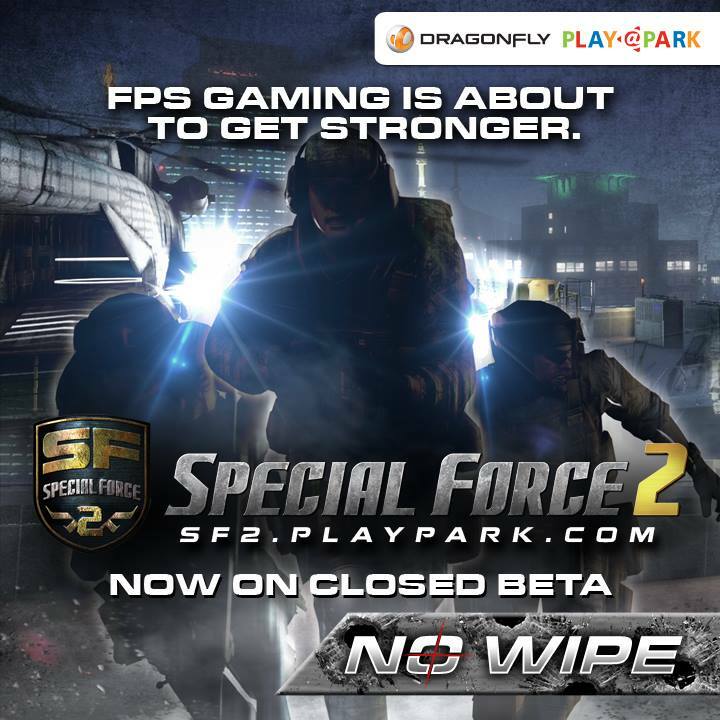 Philippines, Malaysia and Singapore, – Asiasoft is proud to announce the Closed Beta launch of Special Force 2 (SF2), the highly-anticipated sequel to the hit first-person shooter game Special Force. The game will officially open its Southeas Asia servers to Closed Beta testing on October 28, 2015. Dragonfly created the world’s first online FPS game in 2002. With the release of ‘Special Force’ in 2004, Dragonfly almost single-handedly revitalized the FPS gaming trend in South Korea. To become more than an FPS developer, Dragonfly developed a variety of well-made games in different genres. With the experiences gained by servicing in South Korea, Dragonfly has actively serviced the world including Thailand, China, United States, and Europe to grow itself as a global company. Dragonfly promises to be the best game developer spreading happiness and dreams through games for gamers all around the world. Formerly known as Playweb Games, Inc., PlayPark, Inc. is the publisher and operator of Level Up! (www.levelupgames.ph) and PlayPark (www.playpark.com) in the Philippines. With a vast portfolio of hugely popular Massively Mutliplayer Online Games, which includes RAN Online, Assault Fire, Phantasy Star Online 2, and Ragnarok Online – the game that started the online gaming craze in 2003, PlayPark Inc. is the leading game publisher in the online gaming industry in the country today. Asiasoft Corporation Public Company Limited (“Asiasoft”) is a Leading Regional Online Entertainment Service Provider in Southeast Asia with a dominating market share in the region covering Thailand, Singapore, Malaysia, Vietnam, Indonesia and Philippines. The company was established in Thailand in 2001 and listed on the Stock Exchange of Thailand since 2008. The Company’s affiliates are involved in international investment for online games publishing and development, as well as game portal services (www.playpark.com) and other IT related business. Currently, we have 35 enjoyable and interactive online games from all over the world with more than 142 million registered IDs in the region.